All the new Generation PC comes with the inbuilt the Webcam, but most of the PC users don’t like the video quality or image quality of the inbuilt camera. 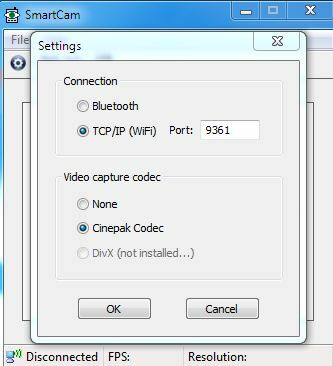 To day in this guide we’ll show you how you can easily turn your Smartphone Camera into a PC webcam. If your PC doesn’t has the web cam then you can apply this guide on your PC and Smartphone to transform your mobile camera into a high quality web cam. No need to buy any hardware or any other gadget to apply this guide. All the latest Smartphone are packed with High Quality camera which you will use to click pictures or video chat. Today I am going to share some of the free applications which you will install on your smartphone and use them as the PC webcam. After that you can to use your smartphone for Video call, Skype chat, Google Hangouts, Yahoo video call etc. All you need a WiFi connection and USB cable to connect your Smartphone with the PC. Read the below mention guide and turn your mobile camera in webcam without buying any gadget. A free and simple to use android application which turns your Android phone into a handy webcam. All you have to install two apps, one on your Android smartphone and other on the Windows and Linux PC. After that you can easily connect your device to the computer with the helps of Wifi or Bluetooth. One of the most download web cam application in the Google play store with lots of positive reviews. Once the application is installed on your Smartphone, you are ready to use it as web cam. You can views your camera on VLC player or on any web browser. The apps supports video chat like Skype, Chatroulette etc. Another free android application to use your phone as a webcam on your computer over WiFi or USB. The premium version of the application is also available in the Google play Store with lots of other features. With the helps of this application you can easily connect your computer over WI-fi, USB or Bluetooth. Droidcam webcam application supports lots of video chats services like Skype, Yahoo ad MSN. Looking for more Android Guides, Tips, Tricks, Hacks and Free android application , check out our Android Section here. For more futures updates Like our Facebook page here and Add us on your Google+ Circles.